How to socialise your puppy the right way! Every dog trainer on the planet will bleat on about socialisation until the cows come home, and whilst it is super duper important that you socialise your pup, it’s even more important to do it the right way. ‘Wait, there’s a right way and a wrong way?’ I hear you cry! In short, yes. Socialisation in the wrong way can lead to behaviour problems later in life. Everyone wants to do right by their puppy, and we all know just how important socialisation is. There are chapters, maybe even whole books dedicated to socialising, puppy parties, youtube videos, and even seminars, all telling you the same thing, SOCIALISE YOUR PUPPY. But there are things that you are rarely told. Things I wish I could scream from the rooftop. If people gave you the don’ts as well as the do’s when it comes to socialisation, a lot of people, and dogs lives would be a whole lot easier. The don’ts are just as important as the do’s! So what is the golden rule of socialisation? Socialise, but not too much. Its super simple right? But I think the problem is many new puppy owners are drilled by experts to socialise their puppy’s anywhere and everywhere, with everything and everyone, that over-socialisation becomes a real issue. We see it a lot in Labradors. Those lovely Labs that come bounding 100m across a field to ‘greet’ your dog, and that lab is usually over excited and very very bouncy. There’s usually an owner running wildly after him calling his name. And whilst the lab might be friendly, not all dogs want to be jumped on and played with like a lab does. So why is it labs, and more and more often now, doodles, just want to run over and play with every dog or person that they encounter? Over-socialisation. Whilst its very true that dogs need to be well socialised to places, people, animals, noises, and objects, it is also vital to control those situations. We don’t want to let our 12 week old puppy loose in a group of similarly aged puppies, because we cannot control what happens. It’s sometimes difficult for the owner to tell when pup is being bullied or if he is the bully, or whether he is enjoying it, or feeling frightened and overwhelmed. So how did over-socialisation create the Labrador mentioned above? In the Labs case, the issue is usually that in the early puppy stages the owner allowed his Lab to play with or approach every other dog or person that he encountered whilst out on a walk, no matter how far away. This owner has been very focused on socialising their dog that they have probably forgotten to teach the dog how to greet properly, forgotten to teach basic manners, and more importantly how to focus on the owner. So what are the negative effects? The Lab sees playing with the dog across the field highly reinforcing, because he has always been allowed to do that. But when he hits adult age, puppy license expires, the other dog will be far less tolerant of a charging 30kg+ lab then he would be with a puppy. Now the Lab has very little to no recall skills and runs over to every dog or person in sight. No matter what words you use or how loud you yell, that dog is not coming back! How to prevent this – Don’t allow your dog to play with every dog he sees. Build solid recall on a long line first. Recall away from other dogs before allowing to play. 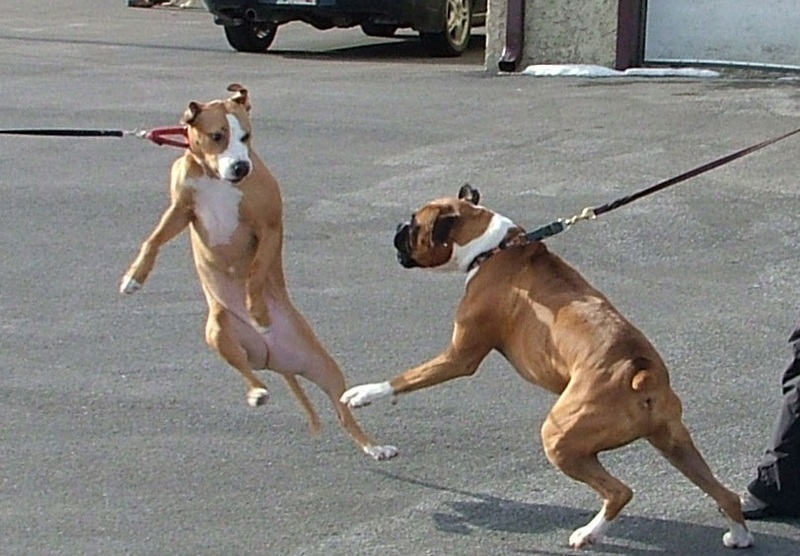 Manic pulling on the leash can be hugely damaging to a dog physically, especially if they are lunging and barking at other people and dogs that pass by, not to mention the physical toll it takes on the owner. If your dog is happy when meeting dogs on and off lead, but barking, pulling, lunging when he is a short distance away, then he could be experiencing frustration. How to prevent this – make sure that you practice walking past dogs more often than you stop to greet them. This is a tricky one, and one of the hardest things to teach because it relies on other people, and again comes down to controlling the situation. One thing that happens when you get a puppy is EVERYONE wants to greet her, they want cuddles and fuss, who can blame them? The day is always a better one after interacting with a puppy. The problem is that well-meaning people actually encourage puppy to jump up and lick their faces, this might be cute as a tiny goldendoodle, boxer, or Collie puppy, but once they are adult, it can be dangerous to children and the elderly, even for adults who are pretty sturdy on their feet! How to prevent this – again, it’s important that the dog learns to walk past most people in the street or at the park, this means not greeting everyone. Teach puppy to sit nicely by your side while you chat to strangers. Make sure that puppy is calm before interacting with a stranger and encourage all four paws on the floor by feeding treats low to the ground whilst the stranger is fussing. In the excitement of getting a puppy, new owners generally might forget that certain manners are necessary in the home, or may not want to tell everyone who walks through the door off. But I promise its worth your while. 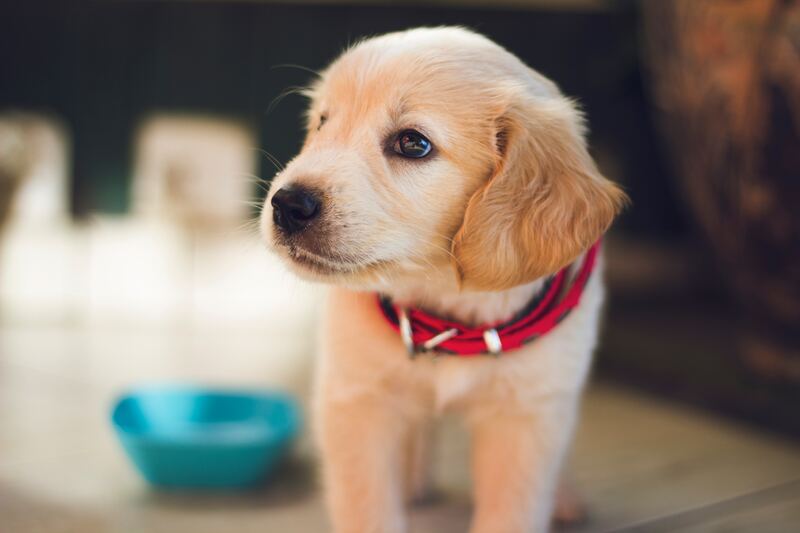 House greetings can be really exciting, especially when your guests are excited about seeing your new family member, but it is important to remember that whilst puppy may be small and cute right now, the same greeting when older could be problematic. An excited cockapoo puppy could easily know over a child or grandma when older. How to prevent this – make sure all guests know the rules before greeting the puppy. Have a chat with guest about the right way to greet. If you don’t think that they will comply, put puppy in a different room until your guests are settled. Socialisation does not just end at 16 weeks of age! It is vital that puppy is still introduced to new things, a well socialised puppy will take it all in her stride and continue to enjoy the new experiences. However, a more cautious pup may need to be introduced slowly and carefully to anything new, but it can and should be possible. Getting a new puppy is a whirlwind of an experience that does not last long at all. Its seems like only last week that Rio was a tiny puppy, but now hes a rock solid 8 month old cocker spaniel! And whilst puppyhood is fun, these few simple rules are often overlooked but work wonders in preventing future problems! So, are you prepared for your new puppy?